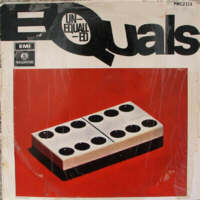 Towards the end of “Baby Come Back” the Equals start making “ch! ch! ch! ch!” noises in the background: it’s a nod to the way several ska tracks use the same sounds to add final momentum to a track, the ska train leaving the platform and pulling away into infinity. Except “Baby Come Back” isn’t quite ska, its rhythm sounds closer to the Motown 4/4, and so the train-noise trick sounds intriguingly off. It’s a good way of reminding you that this is an excellent pop track that happens to have been made by a mixed-race, mixed-birthplace British-Caribbean band, not a track that should stand or fall on historical importance. You could, like Robin Carmody on his blog, raise an eyebrow at the fact that this track was kicking around for two years before pirate radio made it a hit, and you could also draw attention to the thickest Jamaican accents on a number one so far. But the accents don’t give the performance its determination and force on their own, and the elastic weave and thrust of the Equals’ three guitars isn’t specifically Caribbean either. If you want to link it to the soon-coming reggae boom, it’s at most a quirky sort-of harbinger. In the bubblegum-rich singles environment of 1968, though, it fits right in. The first paragraph in this review is a good example of me groping desperately after a (very tenuously) musicological explanation for something I can hear quite clearly! I’m surprised no one else has chimed in on this song, which is absolutely wonderful (although it may run a bit too long without bringing in enough new tricks). Instantly memorable and infectious, with those clear, ringing, just sorta surf-y guitars delivering the goods over and over and over. They also, I think, make the song sound somehow more modern than it is – I wasn’t surprised when I learned it was from 1968, but if you’d told me it was from ten years later I’d have not batted an eye. There’s something almost new-wavey about the whole thing – I could see Stewart Copeland covering this as Klark Kent, if it was a little more snotty. No, there isn’t very much to it, but it does have a prodigious amount of energy. It’s an interesting hybrid of a lot of different genres (Caribbean, American, British)–as might well befit the group’s racial/ethnic mix–and yet it’s difficult to discuss because it doesn’t fit neatly into any one particular category. A harbinger? Probably yes. Harbingers generally fall short of being the “authentic” item. I doubt that this would pass the litmus test for reggae–yet the accent and a few other little hints are there. And these inklings of the “real thing” can act as aural appetizers for what is to come. “Israelites” follows closely in its wake. It’s got a good beat and you can dance to it! I like this a lot. “I shouldn’t not be not flirting” – is this the only triple negative to get to #1? Isn’t it “I shouldn’t not be a-flirting”? RIP Tony Clarke who (I’m surprised to read) produced this before he went on to invent the symphonic concept album with the Moody Blues’ Days Of Future Past. He seemed like an absolute gent, and a general fix-it man for that band’s egos – a latterday Uncle Fred if the MBs’ dvd doc is anything to go by. He was also responsible for getting the Four Tops to record their astonishing version of the Moody Blues’ Simple Game, one of the touchstone doomy early 70s hits. Very sad. Can I put in a good word for the Elektric Music version of this on Ruby Trax? I am almost certain this is a Proustian thing because the sampled ‘al-alright’ and ‘oh’ and the general vocodery nature remind me of how awesome video games* are (and the fact that the best example of this is bunnied delights me to no end :D), but that doesn’t stop me from really enjoying it. Here’s a fabulous clip of a ’68 Equals gig which gives some idea of pop’s primitive pre ‘rock show’ era (amps that go up to 2 rather than 11) and the Equals’ unique place in UK soul/ska/punk history. The Clash covered their Police On My Back; Black Skin Blue Eyed Boys is UK pop/funk; they touched on psych, bubblegum, and (as Tom points out) ska. Not often great, but frequently intriguing. This is indeed a terrific clip. Is the M People record “Excited” a cover of this? It’s worth checking out the Equals “Rub A Dub Dub” – I find it impossible to hear that record without my thoughts turning to a bunnyable #1. A son remembers: http://musicsoundsbetterwithtwo.blogspot.com/2011/12/family-first-and-last-oc-smith-son-of.html Thanks for reading, everyone! Didn’t someone else have a hit with this? Remind me, who was it again? I can’t speak for him, but sneaking a look ahead of the bunny, if it was me doing this I’d be so pleased to be out of the 93-94 desert. There’s an entertaining, if not entirely uninterrupted, run at the top of the charts for the next few (chart) years I reckon. Frequently interrupted, actually. A few decent things separated by an awful lot of promoted guff. Perhaps. But when the highs come, they do hit the spot good and proper. It’s still fascinating – as the decade progresses I’m seeing the run of number ones progress from a civilised, if rather staid, family outing to a rag-tag bunch of lunatics on the night bus. Clearly YMMV on statements such as that, but i did a quick count ahead and it was better than 2:1 in favour for the next 30 or so, and doing the same count backwards was… not so good. I love how this song manages to hint at ska, soul and several other genres while seeming so simple. The twangy guitar riff, hoarse lead vocal and excited interjections all add to the propulsive rhythm of the song.